This recorder has become world’s smallest full featured digital recorder! 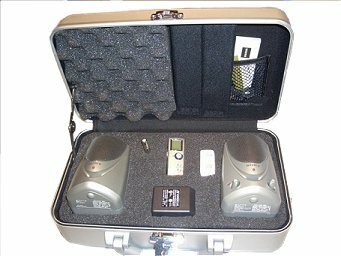 Private investigators use this device throughout the world for verbal phone and room recording with phone and spike mic attachments. Therefore, This is a world class unit. You must not use this device unlawfully. Similarly, you must consult with local legal experts so you can operate this unit within the legal guidelines. As the audio needs of professionals and hobbyists alike run a gamut of complexity, from simple to intricate, a generous array of portable digital recorders has been spawned. These numerous recorders have vastly differing feature sets, and some will make more sense for certain applications than others.